Arts and culture in Melbourne is in full bloom as local artists and creatives craft unique and beautiful artworks in different fields. The local flower industry is likewise thriving from the innovations of Melbourne florists and flower shops. This is great news for flower lovers and art patrons alike who continue to support flower delivery in Melbourne. But if you’re new to the scene and you have no idea where to begin your search for a top-notch florist in Melbourne, here are our picks of the best Melbourne flower delivery around. This scrappy startup has managed to win the hearts of flower lovers in Australia with their lightning-fast delivery service and uncomplicated yet stylish modern hand bouquets for all occasions. Efficient is the best word to describe A Better Florist as their online shop boasts a curated collection of modern arrangements and streamlined designs. Their safe and secure payment option adds a layer of comfort to the overall ease of transaction. Their bestselling hand bouquets are professionally handcrafted daily by their talented florist, so you get them in perfect form and freshness every time. The best part is that you get these freshly designed bouquets and flower arrangements with free same day delivery in Australia, including Melbourne, Sydney, Perth, Adelaide and Brisbane. They also offer flower subscriptions, so you can get regular bunches of fresh flowers to help you bloom your home or workplace. To get your flowers on the same day, make sure you place your order before 3pm. Art Stems was established in 1988. They specialise in mixed bouquets composed of Australian natives, interesting wildflowers and exotic tropical blooms. They have a “quick pick” option in case you don’t quite know what you’re looking for. Just choose the colour and type of bouquet and leave the details up to their capable Melbourne florist. Art Stems also supports sustainable practices in the floral industry, so they encourage customers to reuse the vases, jars and other containers which come with their purchase. 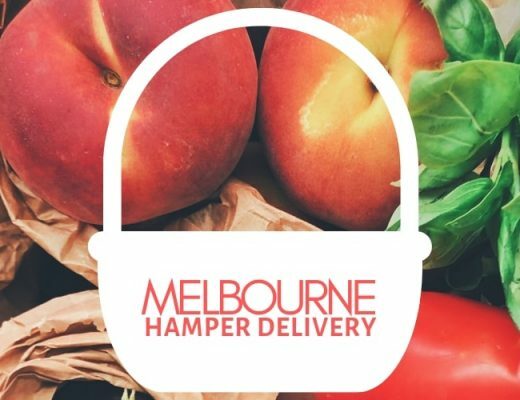 My Flower Room is a Melbourne-based online florist delivering fresh flowers and gifts from Monday-Saturday to all homes and business within a 20-km radius of Melbourne CBD. Founder Shaneka has over 12 years of experience as a florist, so you know you’re getting professionally handcrafted bouquets and arrangements with each purchase. To make your flower delivery extra special, you can add gifts such as a copper candle, HUSK hand soaps, french champagne, a cute teddy or some chocolate. Fortunately, they offer staggered payment with AfterPay to accommodate all budgets. Remember to order by 12.30 for same day delivery. Sometimes, the simplest bouquets and flower arrangements can convey sincerity perfectly to your intended recipient. Without the fancy trimmings and shiny distractions, the beauty of the blooms get to shine. This is why Hi Petal keeps their packaging unfussy and eco-friendly. Their beautiful posies come in a clean glass jar or your choice of ceramic pot. Meanwhile, their graduation posies are wrapped in newspaper with a cute bear in a toga, then finished off with a simple ribbon to secure the bouquet. You’ll also find cacti and succulents in their online shop, the perfect plants to complement their minimalist and low-maintenance aesthetic. When it comes to buying bouquets and arrangements from Sandringham Flowers, what you see is what you’ll get. They handcraft vibrant, elegant and exotic floral arrangements for all occasions using only the freshest, premium quality flowers selected from the finest growers. Sandringham Flowers also provides same day flower delivery to make sure your surprise flowers arrive in a timely manner. DELIVERY FEE Free delivery to most Melbourne suburbs. Check out their delivery zones for more details. Oollie Flora understands diverse tastes and preferences, so they offer custom flower arrangements to give customers flexibility in choosing specific colours and choice of seasonal flowers. You can also choose the packaging (bouquet, box, wooden box, hat box, basket or vase) with several options for sizes. You can even add champagne, chocolate or a teddy bear to your one-of-a-kind arrangement. As for the bouquet’s colour palette, the options are pastel, white & green, or vibrant. Of course, they also have a curated selection of O’ollie’spicks if you want to leave it up to the capable hands of their professional florist. To guarantee same-day flower delivery, order before 12pm. They deliver 7 days a week except public holidays, so you can surprise loved ones even on weekends! Flowerly Yours was established with the goal of becoming a high-quality, smart and reliable online florist. With this in mind, they continue to use their passion for excellence to drive them into making buying flowers and gifts for people as rewarding as possible. To satisfy customers, they keep a variety of fantastic floral arrangements in stock along with unique limited edition and seasonal items that fit any budget. Bud Flowers has been in the heart of Armadale since 1986, transforming and developing over the years. As one of Melbourne’s premier florists, Meridee Fraser brought Bud Flowers squarely into the present while constantly innovating for the future of floral design. Meridee can execute all sorts of style, from cutting edge conceptual design through to event styling. Bud Flowers stocks a large range of fresh locally sourced flowers, along with hand poured candles, beautiful coffee table books, bath soaks, chocolates and potted plants. DELIVERY FEE Delivery to the following hospitals is free: RCH Melbourne, Royal Melbourne Hospital, Royal Women’s Hospital, Francis Perry House, Melbourne Private Hospital and the Peter MacCallum Cancer Centre. Delivery outside this area, including the CBD starts from AUD 10. Royal Flower and Gift is a flower and gift shop located on the ground floor of the Melbourne Royal Children’s Hospital in Parkville. They can guide you in choosing the perfect gift for a patient in the Royal Children’s Hospital. Of course, their gifts and floral products are not limited to patients and children. In fact, they have an extensive range of flowers, balloons, toys, sweets and other gifts that are suitable for everyone. Purchase a stunning bouquet for a loved one in their online shop which you can complement with scented soy candles. Royal Flower and Gift also provide corporate floral services, event flowers and wedding flowers, including free, after-hours and weekend consultations for wedding and event clients. Fleur McHarg, a well-known floral designer and event stylist in Melbourne, is the creative driving force behind the brand. With a career spanning 25 years, McHarg’s vision and innovations in the art of floristry, decorating and design can breathe life into any venue by turning bunches of blooms into inspiring works of art. McHarg and her team has worked for high-profile events like fashion week, editorials and memorable weddings. They have been praised for their professionalism, innate style and sheer creativity. Kellee Flowers employs experienced florists who can create any kind of floral design you prefer. Whether it is traditional or modern, wedding flowers or sympathy flowers, your requests will be flawlessly executed to convey your heartfelt message. Plus, if you register as a Flowers Fan, you can save on your future purchases. You can receive 10% off online purchases as well as fortnightly updates on seasonal promotions, specials & competitions. Lilac and the Cat takes inspiration from the variations and unconstrained arrangement of flowers and foliage in nature to create their wild and loose floral designs. Founder Janelouise uses her creativity and intuition to handcraft bouquets and arrangements brimming with personality. You can choose a style or preferred presentation, but the final product will always be one-of-a-kind. As Melbourne’s leading ethical and eco-friendly florist, Lilac and the Cat opts for recycled materials. They also love using upcycled vases and pots where possible and commit to buying seasonally and locally grown blooms which they turn into beautiful flower designs held with mindfulness and love. Established in 2003, BG Flowers has a team of florists with over 10 years of floristry experience from all over the world, from Japan to Korea to New Zealand and Australia. Global influences and extensive knowledge give them the versatility and artistry to create all kinds of floral designs. Whether you desire a few simple blooms or a grand and lavish statement, let the team at BG Flowers do their magic. The flowers they use are hand-picked from their daily selection of the freshest seasonal blooms and custom designed to suit any occasion or intended message. Sakura Flowers Melbourne draws inspiration from their vast wedding experiences in Japan, Holland, U.S.A. and Australia. Weddings are not their only specialty. They also make use of traditional as well as contemporary floristry techniques to create beautiful individual bouquets and arrangements available for flower delivery in Melbourne. They make it a point to consult customers to ensure their floral designs are unique and personalised. Minimum spend for delivery is $40 AUD. The cut off point for same day deliveries is 12pm. Free delivery to Epworth Hospital, 89 Bridge Road, Richmond, 3121. Hampstead Flowers specialises in contemporary floral designs professionally handcrafted by experienced florists. Jane Gilliam, owner and head florist, uses her extensive experience in the industry, both local and international, to infuse creativity and sophistication to Hampstead Flowers. Even though they embrace natural styles and add lots of texture to the floral designs, the end product never looks messy or untidy. Each piece is distinct and custom designed for every occasion. Cakes and Vases creates lush flower arrangements using the best seasonal flowers available. They can also customise flowers for their customers. Just give them a budget and colour theme, and they will design a bouquet or arrangement with fresh seasonal flowers on the spot! Whether you like natural or rustic arrangements or prefer polished and elegant bouquets, their team can make the perfect style for you. They also specialise in weddings, working closely with their clients to make many different styles come to life for a dream wedding. Established in 2013, Ivy and Eve showcases colourful bouquets and arrangements on their catalogue, from small gesture posies to large scale events and memorable weddings. Owner operator Jess Heinjus hand selects the fresh flowers they use from a vast range of local growers and producers, working closely on all aspects of the business. Together, Jess and her dedicated and talented crew of florists have over forty years’ experience in the industry. Little Flower Box has been creating unique fresh floral designs for all occasions since 2012. They have a catalogue of bright, fun flower bouquets and arrangements available for delivery in Melbourne. As a bonus for their customers, each and every with floral design includes a three dimensional little flower box containing flower seeds they can plant in a pot or in the garden. It’s the gift that keeps on giving! Adam Beehre is a florist based in southeast Melbourne competent in all aspects of floristry. With an honours degree in fine arts at Melbourne University and a Certificate in Floristry with Bloom College, Beehre took a leap of faith and launched Adam The Flower Man in January 2018. Customers can purchase flowers from their online shop with the option to customise the design by leaving a note on preferred colour or flower. You can also call the florist to help you create your ideal gift or look. For weddings, simply book a consultation for a close collaboration, from the initial consultation, to delivery and setup of the flowers on the day. This award-winning florist has a team of qualified floral designers and consultants working closely to give customers and clients an amazing floral experience each and every time. Thrive Flowers & Events specialise in weddings, floral styling for events, corporate flowers as well as bespoke arrangements for different occasions. Their passion and love for flowers and floristry shines through their unique floral creations than stand out from the usual floral fare. Canary Jane’s, opened in April 2012, is the brainchild of Rebecca Stacey (NMIT Student of the Year 2006). Stacey has first-hand experience in floristry from working as a local florist since 2004. Canary Jane’s sources locally grown flowers and greenery as well as locally produced gift wares whenever possible. Aside from offering individual bouquets and arrangements, they also have a vast experience in weddings and functions of all kinds. 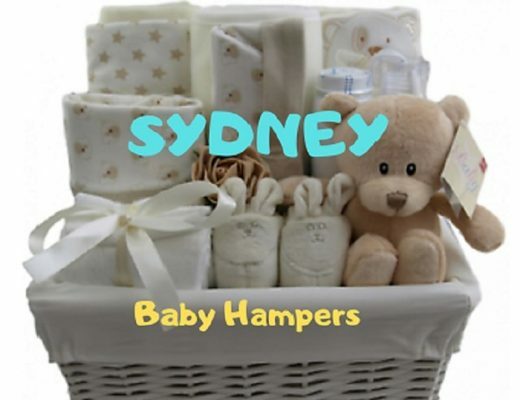 DELIVERY FEE Delivery in Metro Sydney and Melbourne is free. Bloombox Co is best known for their seasonal flower subscription and regular video tutorials. They deliver seasonal Australian grown flowers to homes and businesses in Sydney and Melbourne. To offer the most sustainable choice in flowers, there is no range to choose from. What’s delivered is the best of what’s in season as curated by their design team – which means they’re fresher, longer lasting and smell great. No cellophane or teddy bears here, Bloombox Co is focused on providing the best flower experience possible, and making it easy to come home to beautiful flowers. Established in 2010, Fowlers Flowers set up shop in leafy Clifton hill as a small local florist, born from the garden of Mixed Business Cafe. They are committed to sustainable practise. Their natural, contemporary aesthetic is in line with their vision, using seasonal blooms to craft their floral creations. Their range of products and services include hand-tied posies, as well as floral styling for bespoke weddings and personalised events. Established in 2006, Thanks a Bunch Florist is an Australian owned business offering a wide selection of fresh cut flowers to accommodate any occasion. They are not a relay florist which means all their floral designs and bouquets are created and delivered from their place of business. So, what you order is what you actually get. You can opt to add plants, chocolates and gifts if you like which are also available for online orders. They also accept floral styling for weddings and events. They have provided fresh flowers for hundreds of weddings, meticulously conceptualised and arranged to make the day extra memorable. Clover Flowers specialises in luxe floral designs appropriate for all sorts of occasions, events and even regular days if you want to surprise someone. Their aesthetic is very natural and reminds you of freshly picked blooms. Customers can also purchase candles, gifts and hampers from their online shop for the perfect gift surprise to loved ones. Antaeus Flowers is a South Yarra florist with a proud history of servicing corporate organisations, accommodation and event establishments, as well as many valued and loyal private clients. They provide flower deliveries to South Yarra, Melbourne CBD and all surrounding suburbs. They specialise in beautiful wedding flowers and corporate event flowers across Melbourne, but they also offer individual bespoke floral design using the freshest seasonal blooms. Customers can conveniently buy their floral designs online for delivery to loved ones. For over 30 years, Pauline’s Flowers has been providing delivery of flowers and gifts to customers in Altona North and its surrounding suburbs. Their online store showcases a full range of floral designs to suit any occasion, so customers can conveniently purchase flowers anytime. Fig & Bloom has a small catalogue of bouquets and vase arrangements that are suitable for special occasions as well as regular days. The tall, thin table arrangements in metallic containers look elegant and luxurious against any interior design or wall background. They also provide several affordable options for floral subscription if you’re interested in incorporating fresh flowers into your home. Sizes are regular, large, extra large and deluxe. Flowers Vasette is an award-winning Melbourne florist challenging traditional floral arrangements with their creative takes on various designs that come out effortlessly elegant. They’ve been around since 1989, so their years of experience has gained them a loyal customer base, though their constant innovation has also won them new followers. Their designs are rustic and conjures up images of a lush countryside. Order by midday for same day delivery. Elwood Flowers, formally known as The Leaf Florist, provides all sorts of flower arrangements, including bouquet, posy, wreath, button hole, flower crown, installation as well as customised designs. They have a “Just Because” collection because you don’t need a special reason or occasion to surprise friends and loved ones with a lovely bouquet. You can even buy one for yourself. For same day flower delivery in Melbourne, order by 11am. If you get easily overwhelmed by a large catalogue, then The Little Market Bunch is the simple and straightforward online florist you need. They have curated their arrangements into the essentials, using flowers like peonies, roses and orchids with options for add-ons. You can also choose a market bunch which already includes goodies for your recipient. They have T2 tea, candles, marshmallows or wine. Sign up to their floral subscription if you want regular deliveries of farm-fresh blooms. Grattans Flowers was founded by owner and floral designer Deanne Hibberd and award-winning florist Renae Caddy. Together they created unique floral designs with a contemporary twist. Their online shop is responsive and user-friendly for an overall easier experience in buying flowers. You can customise your order further according to size and colour scheme: whites & greens, pastels, bright and cheery, pinks & purples, natives, signature design. Order by 12noon for guaranteed to same day delivery. Bridge Road Florist has been selling Melbourne flowers since 1976. They’re open 24 hours a day, 365 days a year. So don’t fret if you’ve forgotten a birthday or anniversary, you have Bridge Road Florist to help you out with last-minute orders and spontaneous surprises for your significant other. Other than flowers, you can also buy stock chocolates, liquor, balloons, ceramics, vases and other gift items for special occasions. They also have poinsettia, gardenias, cyclamen, yuca, tulips, hydrangea, lavenders among others. If you have a tight budget, you can opt for the standard size, but if you’re feeling generous, then feel free to go big with their deluxe flower arrangements. Nice post! This post will help readers who are interested in buying flowers in Melbourne. Thank you so much for sharing this list with us.